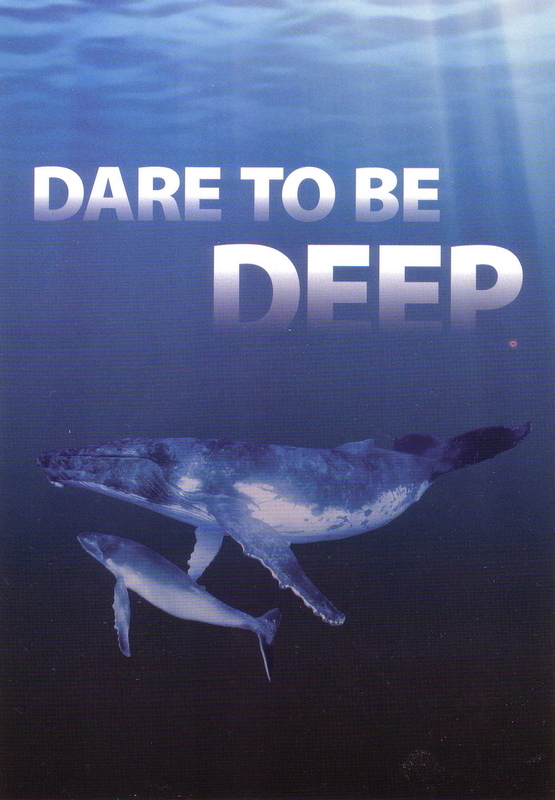 “DARE TO BE DEEP” is an interactive presentation about ocean conservation and the establishment of Gwaii Haanas – Canada’s first marine conservation area. This includes a special video presentation that I produced for CPAWS (Canadian Parks and Wilderness Society) and features traditional Haida dancers. Ceremonial dancers and leaders from the remote Haida Nation, join the Canadian Parks and Wilderness Society (CPAWS) to embark on an historic seven-city tour to celebrate the establishment of a new marine protected area – Gwaii Haanas. The film underscores the successful role of First Nations in partnering with governments to protect the environment and traditional lands. 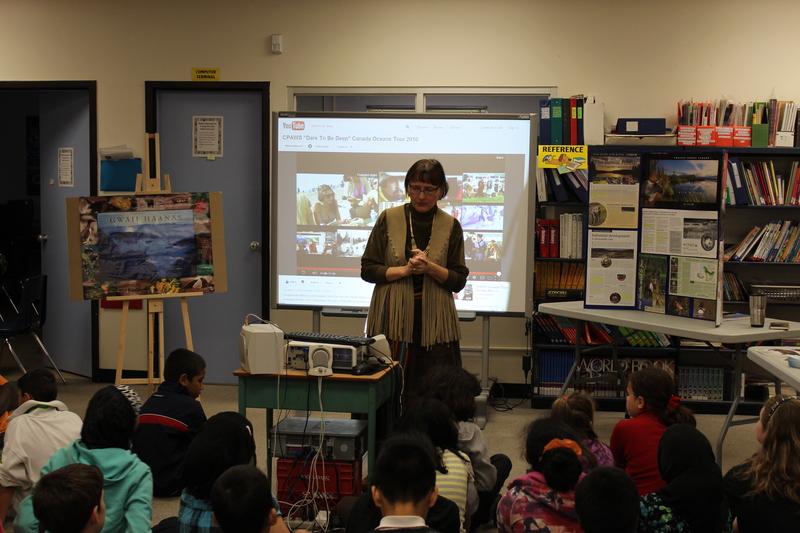 – Students learn to appreciate the Haida world view and traditional knowledge. 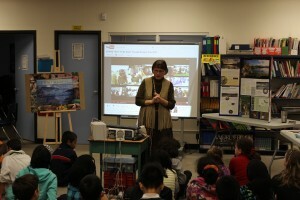 -They learn interesting facts about marine life and ocean geography. – They discuss how to take personal action to protect our water and marine life. – They will learn about the “SeaChoice” program and how important it is to be a wise consumer when buying fish products. Suggestion: This is an excellent theme for Earth Day or environmental fair presentations. I gave this presentation at Pine Ridge Secondary School in Pickering this spring, along with Elder Gary Sault of the Mississaugas of the New Credit First Nation. The day consisted of four assembly presentations of 100 students each. Our theme was water. Elder Gary Sault also showed a power point presentation on protecting the land, and shared traditional teachings and songs from his culture.